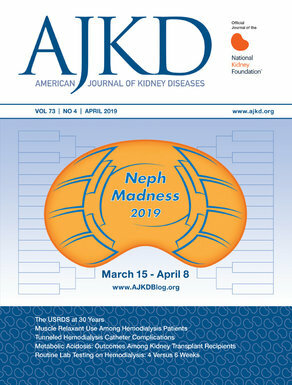 Most of you probably spent the entire weekend going through all 8 regions of NephMadness 2019, right? Reminder 1: You need to schedule your group bracket fun soon! Bracket submission deadline is March 31 at 6PM EDT. Reminder 2: We have a new group prize category this year, Best Party. Take a photo of the party and tag #NephMadness – check out this post for details and inspiration! That’s it! Go forth and take advantage of all the fun and learning in the next two weeks!